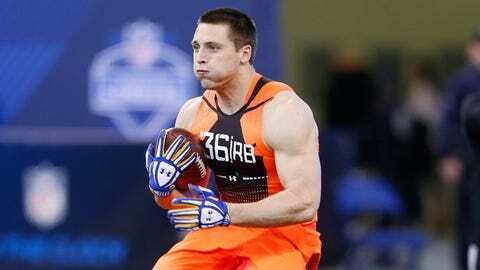 Zach Zenner's road to the NFL will take him to the Detroit Lions. After three days of waiting for a call that never came, Zach Zenner heard from an NFL team shortly after the draft ended on Saturday. The South Dakota State star signed a free-agent contract with the Detroit Lions shortly after the final pick in Round 7. Zenner rushed for more than 2,000 yards in three consecutive seasons at South Dakota State. His path to the NFL has been chronicled over weeks leading up to the draft by FOXSports.com. You can read his draft diaries here. The Lions drafted Nebraska running back Ameer Abdullah in the second round. They also drafted a fullback, Michael Burton, out of Rutgers in the fifth round.